In case you missed it, and I don’t know how you could have, the Rangers won the draft lottery (in the loosest of definitions) and moved up from 6th to 2nd in the 2019 NHL Draft. I have celebratory thoughts. 1. This was incredibly huge that the Rangers got into the top-two. This draft is very deep, but there is a significant talent drop off after Jack Hughes/Kaapo Kakko. The guys at 3-10 are no slouches, but they are not the elite NHL ready talent that both Hughes and Kakko are. 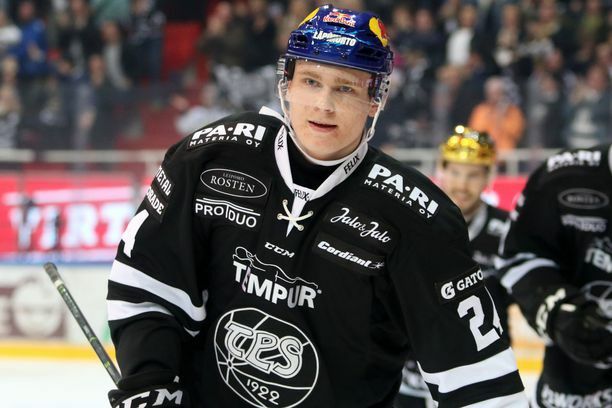 It is expected that both will be able to play in the NHL immediately. 2. Suffice it to say, the Rangers haven’t had a prospect like this in a long, long time, no matter who they get. Vitali Kravtsov is a potentially elite talent as well, and we’ve seen the hype train with him. Kakko is supposed to be even better. This is a huge get for the Rangers. I cannot stress this enough. It honestly doesn’t matter who the Devils take at #1, both Hughes and Kakko are elite talents. That said, I actually prefer Kakko. Something about the Scandinavian game is just great. It’s expected the Devils will take Hughes, which is A-OK by me. 3. This is the highest the Rangers have ever picked in their history. Their last top-five pick was Pavel Brendl. He was #4 overall in a first round that ended after the Sedins went 2-3 and should have gone 1-2. The next highest was Al Montoya at #6 overall, which in hindsight was a terrible pick because of what we know now about goalies and voodoo and Henrik Lundqvist. I’m sure a lot of Debbie Downers are going to point to them as reasons why the Rangers will screw this up. But you know what, be happy for once in your life. 4. This is also why there were so many people who weren’t exactly upset when the Rangers lost games. I will never root for the Rangers to lose, but I can be less upset if they do. I still stand by my thoughts that the loser point should be banished, though, even if it did get the Rangers to the #6 spot and then the #2 overall pick. 5. Let it be known that Pavel Buchnevich’s game tying goal in Game 81 and Ryan Strome’s OT winner in Game 82 gave the Rangers the #2 pick. 6. This pick will forever be associated with Steven McDonald. A fitting legacy for an incredible human. This was definitely our best night of the season! Kappo or Hughes are exactly what we needed. Could not be happier. If we can sign Panarin and get Fox, the rebuild will be on the right track in a big way. One thing we can offer Panarin that Florida and Chicago can’t and that’s the C. Now we can move in to the Winnipeg pick. There’s some interesting choices in the back ha,f of the draft. All I can say this morning, after having slept over the fact that we pick #2, we hit this years Jackpot!!!! With the potential of having Kakko, and I suspect the Devils will go after Hughes, we now have a top six of Zib-Kreider-Buch, Chytil-Kakko-Kravtsov, and still have plenty of good players for the bottom six. If we don’t make any other moves, highly improbable, we can compete next season, and probably make the PO’s. With the exception of Kreider, all the rest are under 25 years of age, that’s wonderful. Brooks has hinted that we are interested in resigning Hayes, I’m not so sure that would be a good move, but that would make us so dep at center, and wing both. The Achilles heel is the defense, that has to be addressed at this draft, and or trade for a very good shut down guy with an edge. Maybe the Rykov kid, or Hajek, Lindgren boys could do the job. Isn’t it great to have so many options to work with? Oh by the way, did I mention how happy I am today that the future looks so great, and upbeat!!!!!!!!!!!!! You’re not going to fix the D for next year via the draft; but if a couple more breaks come our way and Winnipeg crashes out in round 1, they’ll have a chance to grab Moritz Seider who will be a player down the road. Day has shown progress since his recall from Maine, Keane is 2 years away at a minimum. The one thing is if Kakko gets here, the way he can act as a one man cycle he should cut down the number of shots against by a good portion. The way Kakko & Kravtsov drive play, you could put Jamie Lundmark between them and he’d score 20 goals. With the team picking at 2, I think the possibility of Staal getting bought out to free up more cash during the ELC window of Kakko has increased. Screw Panarin, screw Karlsson. Let’s hope Hayes does us a solid and scores a couple of own goals on the backcheck. The prospect of having so many talented young players joining the team over the next few years is very encouraging! With Kravtsov and now Kakko wanting on the wings this changes everything. I don’t believe the Rangers need to dip into the free agency pool in the off season. Just ink their up and comers and see what they can do. I know we’re all excited about the pick, and we’re all jumping on the Kaako train. Hey, I’ll be the conductor! But what happens if the Devils, not bad evaluators of talent, decide that Kaako is their choice first? (although, that would take a huge set of balls on Ray Shero’s part). Lets not rule out the idea that Hughes could fall into our laps. The kid is also a tremendous talent, and although kinda small, he still has a lot of room to grow. We could wind up with the presumptive #1 pick—and some people will feel disappointed it wasn’t Kaako. Thats the trap we can’t fall into. The team is in a tremendous position—–they’re gonna’ get one of the 2 best players available! When have we ever been able to say that? Either way, its a huge win for the Rangers! Taylor Hall skates with Hughes in the summers and needs to sign an extension soon. I’m thinking the same thing Mickeydee,Kakko to us in the #2 spot is not a foregone conclusion,Hughes would be a nice consolation prize,the fact that Hughes skates with Hall in the summer isn’t going to be the deciding factor for Shero to select him. How did my comment above, immediately score thumbs up and down, as soon as I pressed the submit button. How could it have even been read that fast? Whats up with that? Apparently someone has a script that auto thumbs down certain commenters, this will have 7 thumbs down as soon as it posts. The shitbird who hacked the site is still leaving steaming turds about. We have plenty of good (not great) d’men coming down the pike, the issue is creating the space taken up on d’ by Staal, Shattenkirk and Smith. That will probably still remain our achilles heel next year …. but the positive news is that our forward group should all of a sudden look pretty good with the addition of either Hughes or Kakko (we need Kakko more). Add a Panarin and the Top 6 all of a sudden looks complete — but there’s that issue of tying up circa $11m for 7 years when that money might be better spent on retaining our own players at bargain prices. If Panarin takes a deal like that without a rigid/harsh NTC/NMC (at least in the 2nd half of the contract) and we front load the contract, then it becomes more palatable. Re: a Hayes reunion the same applies but at about 45% less cost and with the added stipulation that it might create too big a logjam at Center. Interesting times we live in, interesting. How about we make an offer to Edmonton for McDavid. Kreider, Chytil, Skjei, Shattenkirk, and our 1st round picks in 2019 and 2020. If we need to sweeten it, Howden also. I believe a fair offer.